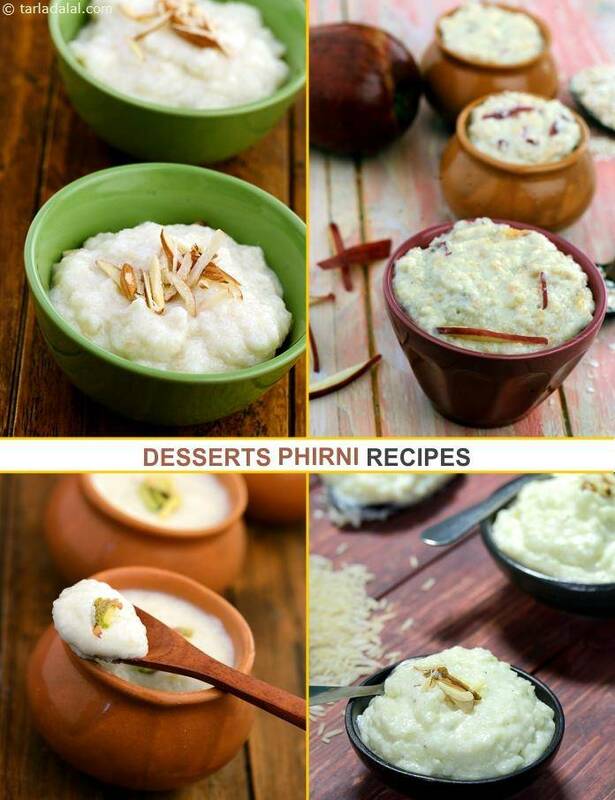 Puja, festival or wedding, no occasion is ever complete without Phirni. Interestingly, this north Indian dessert of rice cooked in sweetened milk is popular all over the country, known by different names and prepared with slight modifications. In the south, for instance, the same recipe is prepared with their varieties of raw, short-grained rice, and served hot at the start of a meal! On a low-cal regime and yet yearning for phirni? This Oats Apple Phirni is an answer to your prayers! Made with coarsely crushed oats and apple, this medium-sweet phirni uses only a low quantity of sugar substitute thanks to the fruit’s natural sweetness. One can also try this Classic rice phirni enhanced with custard apple pulp, the Sitafal Phirni has a memorable flavour that lingers in your taste buds. Fruity phirni combines iron-dense poha with nutritious fruits, to result in a luscious dessert you cannot refuse! avoid using citrus fruits like oranges and sweet lime; try chickoo instead. Apple phirni presents a novel phirni recipe with grated apples and rice flour cooked with boiling milk and sugar. A creamy delicious phirni recipe with crushed nuts and almond slivers as garnish. This recipe is made of strawberries with semolina! Usually I make coconut phirni and chocolate phirni as two separate dishes.But on my daughter's birthday while making her favourite dish, an idea suddenly struck me what if I combine these two dishes. My husband and daughters liked it very much. Strawberry phirni is a Kashmiri cuisine inspired phirni recipe with fresh strawberry pulp added. An awesome dessert recipe with a typical strawberry flavor, strawberry phirni is simply irrestible! Kesar firni, a traditional rice custard cooked with milk and set in earthware containers, flavoured with kesar.